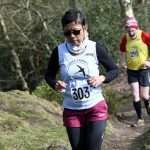 The 41st Wrekin fell race took place in cooler conditions than we had enjoyed the week before, but underfoot it was so dry that many opted for trail shoes rather than the studded fell variety. 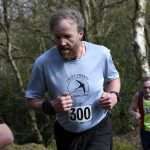 Five Croft runners took part (out of 91 in all), with Tim Jones being the only newcomer to the event. The start is in the car park at Ercall Wood Technology College (if it had become a Sports College, maybe they wouldn’t have sold off their playing fields for housing? 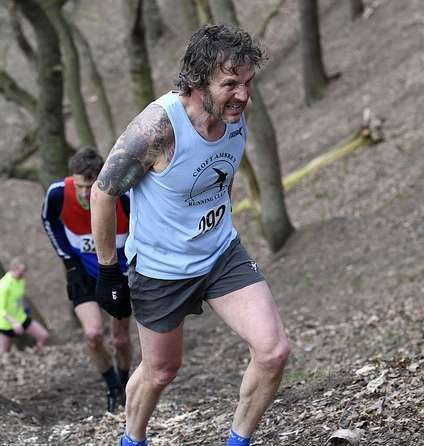 ), then up the road and under the M54 before we turn into the woods to climb the Ercall, a small enough hill, but the steepness so early in the race is tough to cope with. Down the other side in a steep cwm, up and over another, smaller hill, then a couple of hundred yards along the road to the track leading up to the top of the Wrekin. 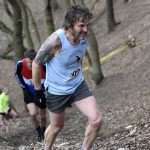 As fell runners, we are required to clamber up a steep valley, rather than being allowed to follow the gently rising track. It certainly began to string out the runners. From the there it’s an undulating, stony/concrete track up to the trig point, before the rush down the same track and a precarious descent into the steep valley, before once again hitting the road and back onto the two smaller hills of the Ercall. From this second summit, it’s a quick run down through the woods, before emerging onto the road and then the final run up the school driveway to the finish. 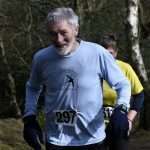 Gary P was first Croftie home, in 50.21, nearly 2.5 minutes faster than last year. 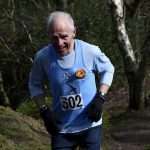 Tim ran a steady race to cross the line in 59.20. I was next, in 61.30 (1 minute 2 secs slower than last year), followed by Flora (64.14), a second shy of 5 minutes faster than 2018, and Tom (74.33) also improved on last year by 1 min 47 secs, a magnificent achievement in the circumstances. So I was the odd one out, the only one with a time that was slower than last year’s. Flora also picked up a prize, once again, for being 1st FV55 – well done, Flora!